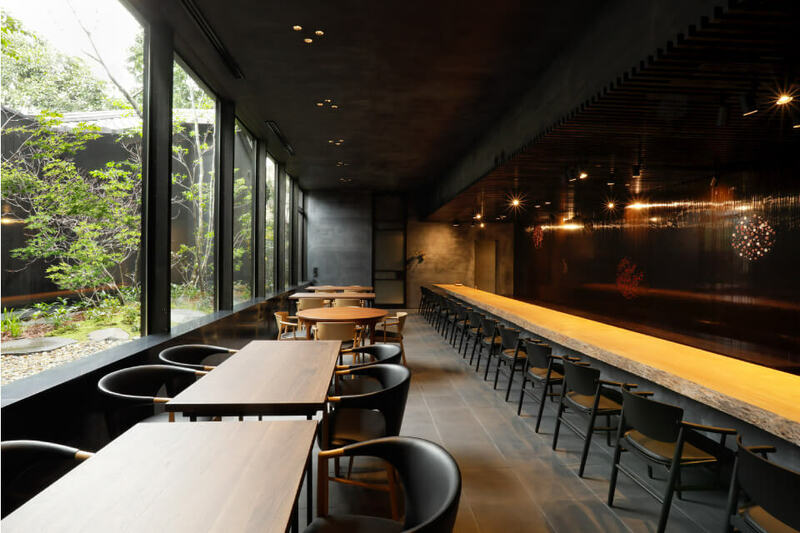 The restaurant, "La Bombance Gion" is on the 1st floor of Annex. 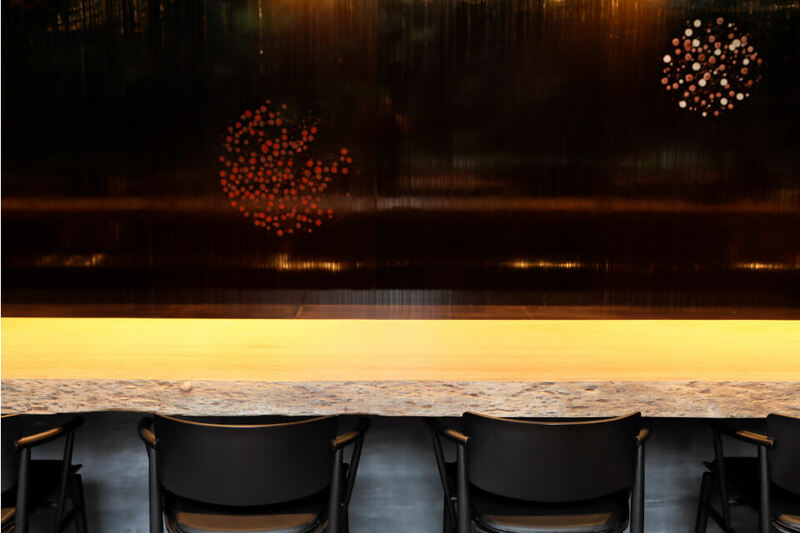 also the dining table is made of a 11-meter long single plate wood. 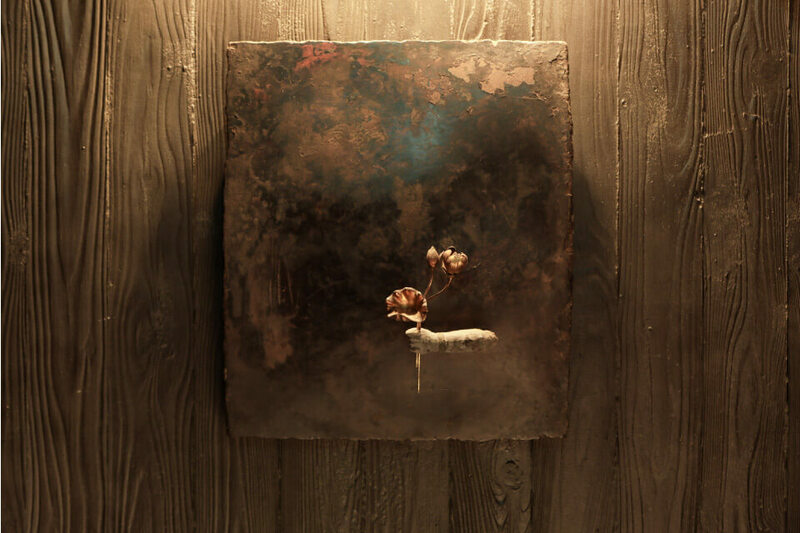 Annexed is a restaurant from which guests can enjoy a beautiful view of greenery outside the large windows. 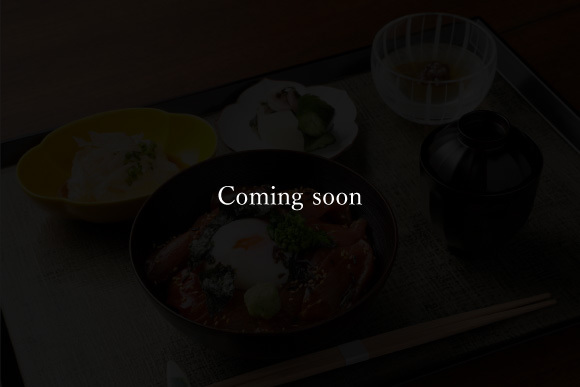 which has been Michelin-starred for ten consecutive years since 2008.
uses an abundance of ingredients from Kyoto to create original new dishes that can only be savored here. 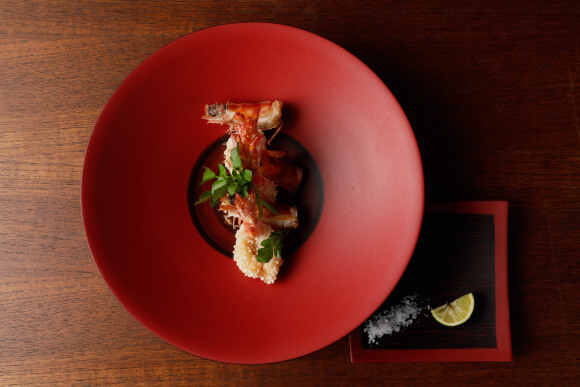 Based on traditional Japanese dishes, the restaurant daringly and freely wields its imagination beyond any given genre to produce elegance. 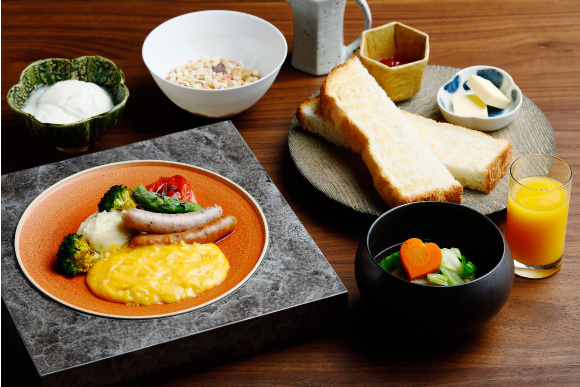 Guests staying at the hotel may enjoy the restaurant from breakfast through dinner. we look forward to celebrating special occasions with you, from business meetings to family gatherings and anniversaries. 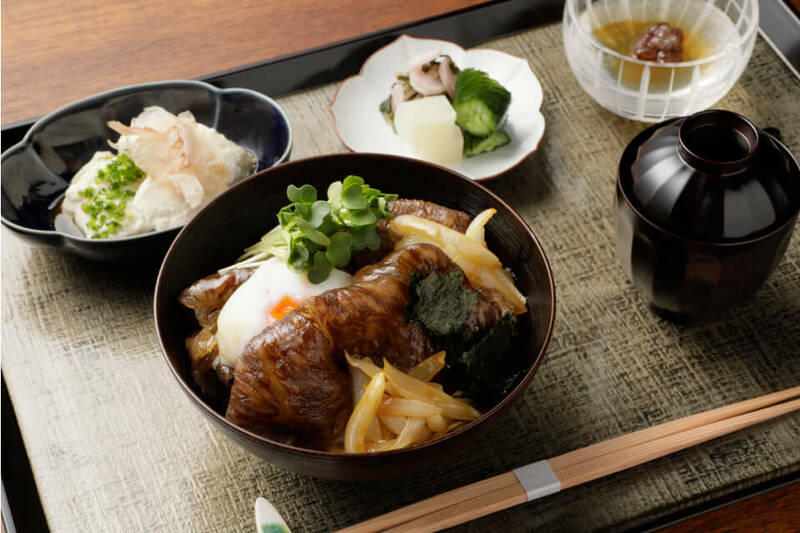 Two types of breakfast are available at Sowaka: Japanese and Western, both are prepared with freshly Japanese dashi-soup. 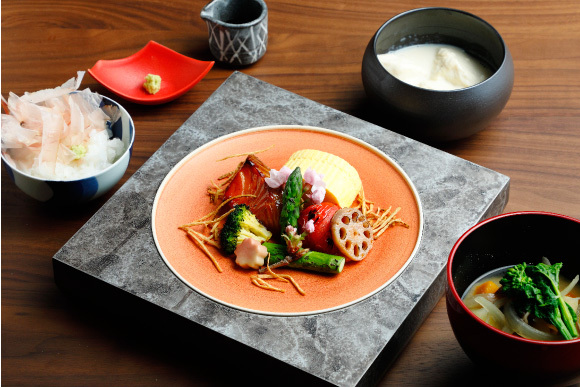 Japanese style: handmade tofu, warm omelet, Saikyo style grilled fish, served with rice, miso soup with plenty of seasonal vegetables. Western style: scrambled eggs and grilled vegetables, hams, soup, yogurt and handmade fresh juice. Lunchtime at La Bombance shows a different charm from dinner. While using the same ingredients and same skills provided at the dinner time, we offer a lunch menu that’s more casual and homey. 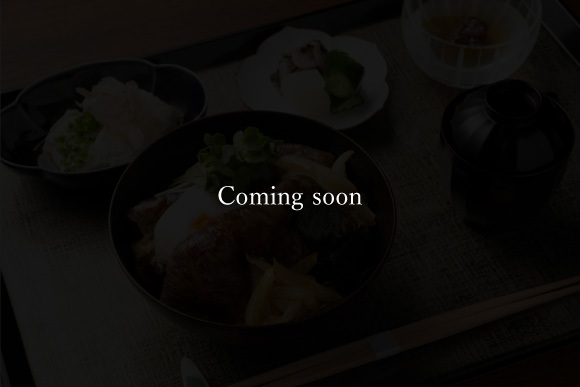 From a hearty tuna bowl to beef sukiyaki, the lunch will surely satisfy our guests with its volume and taste. 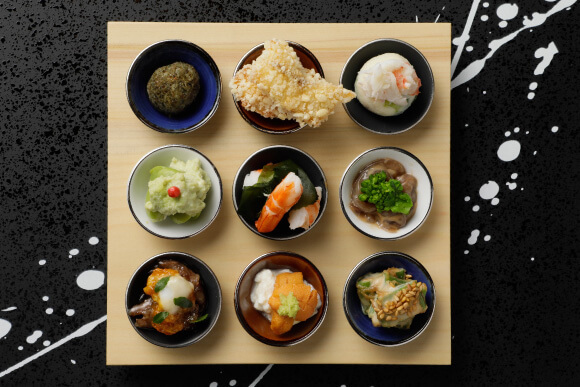 La Bombance proudly presents authentic Japanese cuisine with a modern touch of flavors. 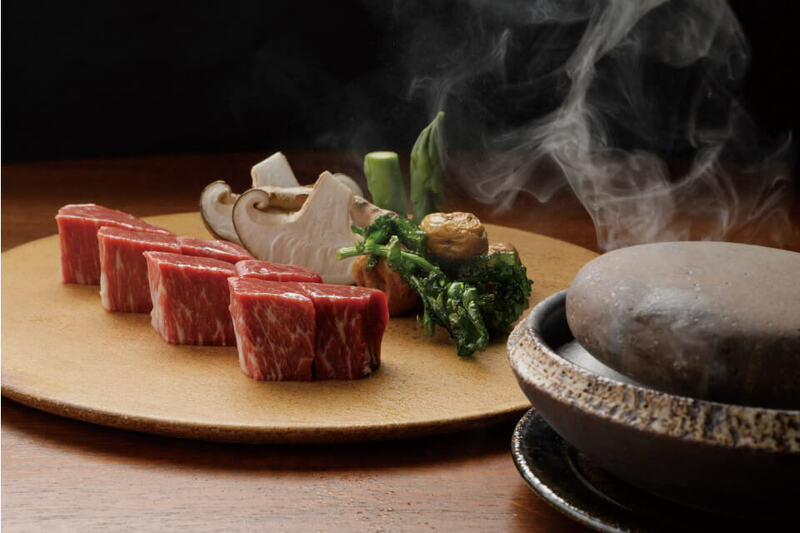 The monthly menu utilizes fresh local seasonal ingredients; just like La Bombance in Nishi-azabu, the chef prepares each dish with a story to tell, creating long lasting memories for our guests. 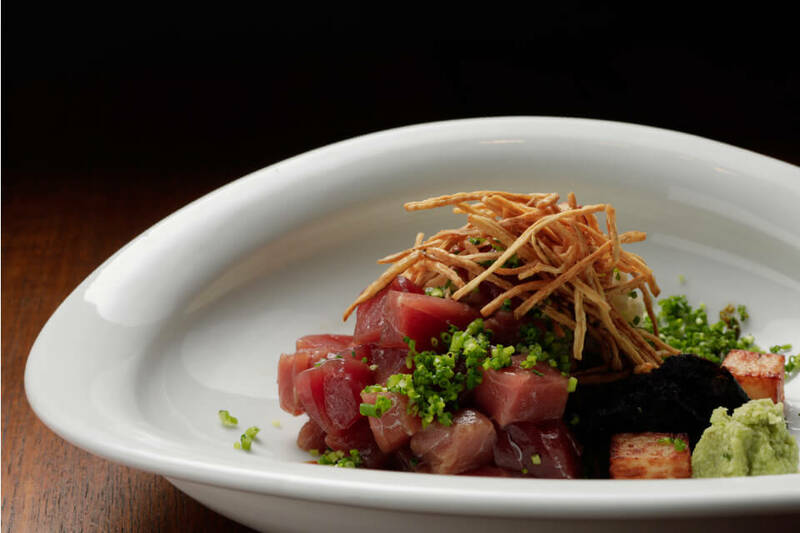 Our menu offers both a set course and à la carte dishes. Born 1973 in Niigata Prefecture. 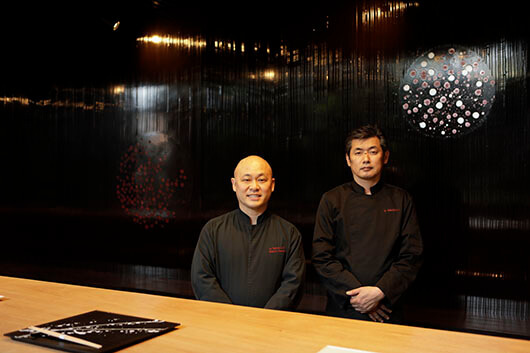 Having worked at Japanese restaurant Kamogawa, Kioicho Fukudaya, opened La Bombance in Nishiazabu. 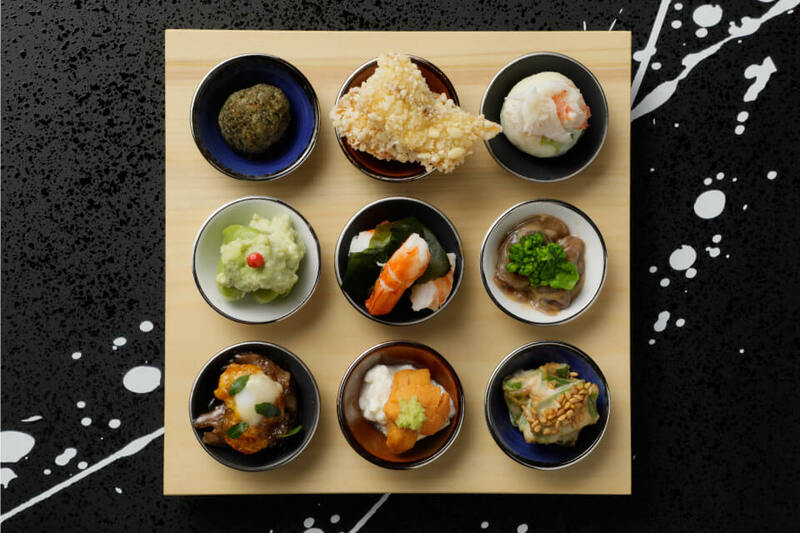 Was recognized for a new Japanese cuisine that was not bogged down with form, and received Michelin 1-star status 10 consecutive years beginning in 2008. Opened La Bombance Hong Kong in 2016. Born 1961 in Ehime Prefecture.